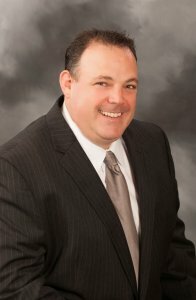 Personal Injury Attorney Tom Kapstrom is an experienced lawyer in Springfield, Missouri. He is dedicated to fighting for those who have suffered harm through no fault of their own. He founded Springfield Injury Law, PC to give his clients an advocate for their interests in an often confusing and scary legal environment. Having graduated law school in 2003, and with a long history of community involvement, Tom understands the needs of his clients as well as the intricacies of the laws and complex procedural rules associated with trial practice. A California native, Tom was born in Beverly Hills where he attended Beverly Hills High School. He received his Bachelor of Arts in Political Science in 2000 from the California State University, Bakersfield, later receiving his Juris Doctor from the Whittier College School Of Law. Throughout his tenure in law school, he was certified as a law clerk which enabled him to make court appearances on behalf of many diverse clients, including two separate cities in Orange County, California. After graduating, he helped defend criminal clients at one of Bakersfield’s premier criminal defense firms. Later, Tom assisted both plaintiffs and defendants while working at one of Bakersfield's oldest and most respected law firms. Tom founded his own law practice in 2013, and he has since dedicated his career to representing clients who need zealous representation when nobody else will help. Through his connections and network of experts, Tom starts investigating each case from the very beginning to bolster each client’s case and he uses the best and most advanced technologies available, so he is always prepared for trial even if the case never makes it to court. Visit Springfield Injury Law's Missouri injury law blog today or contact us online to learn more about our office.